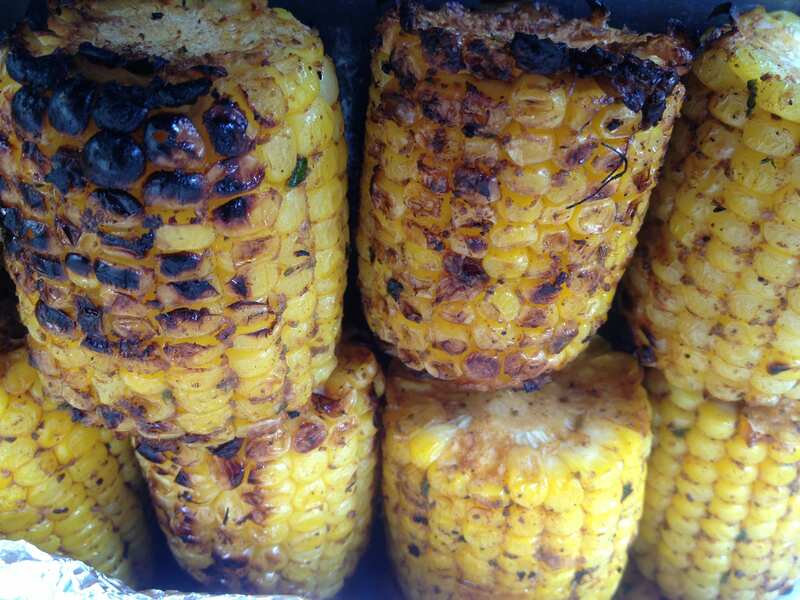 A quick and easy way to make roasted sweet corn on the grill absolutely delicious. This works with gas and charcoal grills. Put the 1/2 cup of butter in a small microwave safe container and microwave ) I strongly suggest you put it in a covered container. A sheet of paper towel will work). Add the seasoned butter to the corn in the large bowl. Mix thoroughly so that the corn is completely covered evenly. Grill the corn over a grill for about 15 minutes. You’ll want to turn every few minutes. You can grill it to your preference. We prefer our corn to have a few blackened kernels but you can go for golden brown too.